We print your graphics on any of our decks. There is a one-time set up fee of $50 per color and $1 for each graphic sheet and $1 to apply. Minimum graphic sheets are 50pcs per graphic. 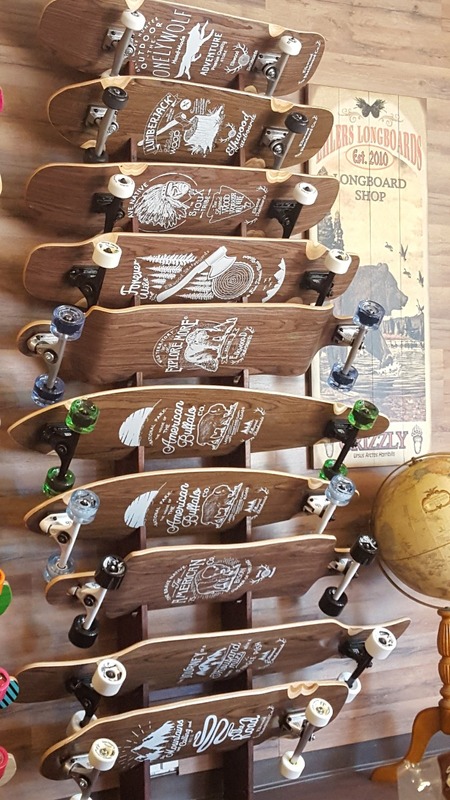 Once we have the graphic sheets ready we have a minimum order of 15 decks printed on any decks of your choice. The first initial turnaround time is 2-3 weeks. Every order after that is 3-5 days. Note: Please have your graphic files in AI or PDF format. Vector or raster are acceptable. If you need help or have questions shoot us an email. Note: At this time we do not print graphics over the wheel wells. Here are some graphic area examples that we recommend but are not limited to. We use a heat transfer roller machine for all graphics. Once your graphics are completed and ready for print we will store them in your own shelving unit and use can order at your own pace.